So this is the first year that I’ve used Rafflecopter for the March Talent Showcase giveaways. In the past giveaways that I’ve used it, it’s been great and makes it a lot easier for me to do the raffles as well as verifying entries because I can filter the entries into similar types (e.g. comments, Tweets, blog posts). However, with the March Talent Showcase giveaways, I have noticed that several people have been entering without doing the requirements for entries (commenting is the big one), or they have been entering with the different emails to double-dip and put in extra entries. 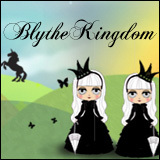 Giveaways are something that I organize here on BlytheLife to spread the enjoyment of Blythe to everyone who visits. I do check the entries and verify that they’re valid before doing a draw. Entries into a giveaway that are not valid are removed prior to doing a draw. These names/emails/IP addresses of those who attempt to gain extra entries into a giveaway are noted down and these people are permanently banned from participating in future giveaways (yes, if you are banned you could still ‘enter’ in via the Rafflecopter, or comment on other posts, but I do remove entries regardless if you’re cheating in later giveaways or not). I used to take the time (and effort) to issue warnings, but I don’t see the point when people blatantly cheat. So why should I bother to do so when some people go out of their way to ruin the fun for everyone else? In addition, I’ve seen some people commenting, but not entering into the giveaway! 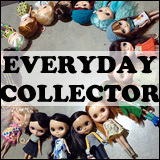 If you do comment, and you’re interested in the giveaway, you need to enter via the Rafflecopter widget. Without entering, it will read that you have 0 entries. Once you complete the requirements for an entry (e.g. commenting), and say so in the widget, it will say that you’ve earned 1 entry. If you see that it still says 0 entries earned, you haven’t entered! 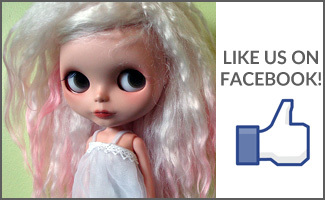 And if you have commented or Tweeted about a giveaway, I do want you to earn your entries. I’m so sorry that this is even an issue you need to address! Some people..
What the heck? How annoying.